A lot has happened in the drone industry over the last couple of years. Both the UK and the US have updated regulations around commercial use (sorry Amazon, still no drone delivery yet). 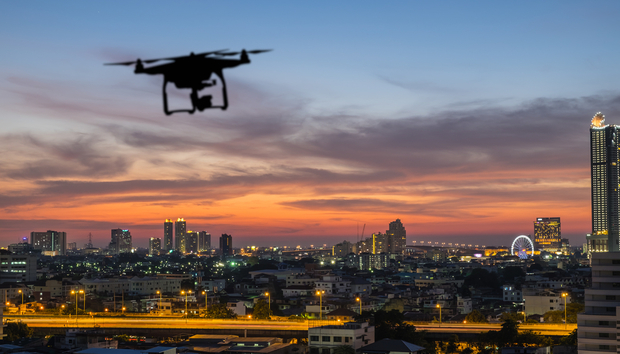 Established players such as DJI and Parrot have made greater efforts to look outside consumer devices and move into more specialised and industry-specific use cases. Given the watch industry’s decline, it’s probably a good thing Switzerland is becoming something of a hotbed for the high-end Unmanned Ariel Vehicle (UAV) sector. Flyability and Gamaya are two companies making inroads, while Pix4D and Skybotix are two that have been acquired by international giants (Parrot and GoPro respectively) in recent years. SenseFly is one such organization. Acquired by Parrot earlier this year to join its collection of agriculture-focused subsidiaries such as MicaSense and Airinov, the company provides a selection of fixed-wing and quadcopter drones for mapping and inspection. According to Gartner’s infamous Hype Cycle, we’re yet to reach peak hype for commercial UAVs. SenseFly was founded in 2009, so have seen the industry grow and emerge, so are probably well placed to argue whether or not the analyst house is right, right? While mass adoption is a relative term – the millions of $100 DJIs are a million (aeronautical) miles away from the $10,000+ speciality platforms for commercial use – the bottom line is a big factor. And most companies with tight budgets won’t just splash out for a UAV just for the sake of it. However, in many of these markets; agriculture, infrastructure inspection etc., it’s not simply a case of flying by once, taking a few pictures, and then writing up a case study the next day. These are long-term projects that can take months to really show their value, which means showing the benefits can take time. One example Wade uses involves a farming co-operative in France: although it took a full season of crop growing across 300 farms, the results showed drone-based data helped increase crop yield an average of 10% compared to regular crop management. In the future, Wade expects more growth in areas the company never originally envisioned. On the issue of regulation, traditionally slow-moving regulators have gone from requiring special exemption for almost any commercial drone flights and needing fully qualified pilots to introducing flexible, business-friendly rules in a relatively short period of time. Today in the US for example, night time and Beyond Line of Sight (BLoS) flying – once total no-nos – are now possible with certain permissions. SenseFly’s own eBee drones (fixed-wing models weighing just 1kg) have been categorised as “harmless” in Italy, meaning they can work in cities such as Rome or Venice, and Wade sees a future where the rules could be relaxed further.